The Rising Voices grantee Aids Rights Congo, with the help of AZUR Development organization from Brazzaville, Congo trains communication officers of local AIDS organizations in digital story telling, podcasting, and the creation of blogs to document the stigma and discrimination of people infected and affected by HIV and AIDS. During March 31 – April 03, 2010 AZUR Development concluded a training workshop as a part of the FTX (Feminist Tech Exchange) program supported by the Association for Progressive Communications (APC PARF). A number of girls and women from Brazzaville, Pointe Noire and Kinkala have participated in the training on the use of Information and Communication Technologies (ICT) to combat violence against women and girls. During the three days, participants exchanged views on relevant issues such as judicial procedures to follow for women and girls victims of violence, the presence of Congolese women in the blogosphere and also the use of citizen media for women citizens’ rights activists. The training modules were on video production. Women have learned to manipulate digital cameras, film, capturing the elements on the computer and video editing. They left to the field to interview women and men and produced a report on domestic violence. The workshop participants will discuss issues relating to women's rights in the Republic of Congo, the contribution of Congolese women in the blogosphere, documenting cases of violence. 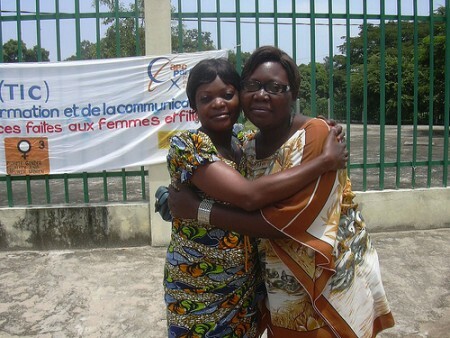 After the training, each participant will be able to seek grants to support the APC WNSP information technologies and fight against all sorts of violence against Congolese women and girls. (machine translation). The situation of HIV positive widows and children orphans and vulnerable children (OVC) in this country do not differ from those of other countries in West Africa. When widowed, they are dispossessed of their property, sometimes driven out of the marital home and can and blackmail on the disclosure of their HIV status. 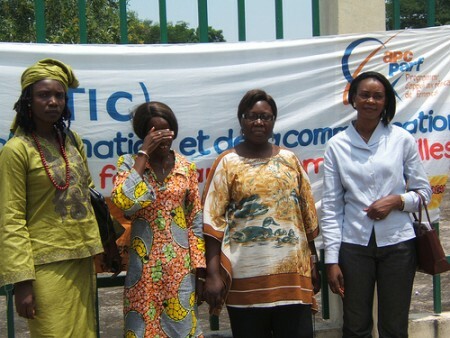 In Congo, women are most affected by HIV/AIDS: at least 4.1% of Congolese women are infected. Women living with HIV/AIDS face discrimination and stigmatization on a daily basis, despite the fact that they are entitled to the same health and other rights as all Congolese citizens. They are already lat a disadvantage in a country where the some of the provisions in family code are flawed and where society imposes moral and physical abuse on widows so that the situation of widows living with HIV is of concern. The purchasing power of women infected with HIV/AIDS is low, which does not differ from that of the average Congolese woman, and is further reduced because of their state of vulnerability.